This event has passed (January 25 2019). Some of Food Fight’s finest chefs have created special three-course meals for Madison Magazine’s Restaurant Week. Make your reservations for Winter Restaurant Week today at these participating locations: Avenue Club and The Bubble Up Bar, Eldorado Grill, Everly, Fresco, Johnny Delmonico’s Steakhouse, and Steenbock’s On Orchard. Winter Restaurant Week runs Sunday, January 20th through Friday, January 25th. 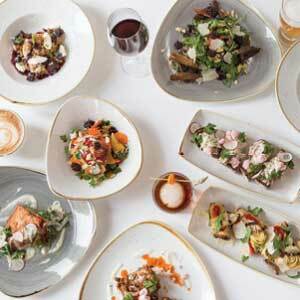 Madison Restaurant Week has quickly become one of the city’s most popular culinary traditions. Thousands of area residents make their way to support the local dining community by exploring new restaurants and hitting up old favorites. This semi-annual event is the perfect opportunity for food lovers to sample some of Madison’s finest local offerings. Starting at $25, participating restaurants offer a prix-fixed menu with 3 courses and 3 options of each course. Some restaurants offer a reduced menu for $15 for lunch.